A mysterious sniper is killing random New York City citizens at the same time every day. Detective Joe Bannon and his partner Hannah Trimble follow the breadcrumb trail of clues down repeated blind alleys. With citizens fearing to venture outside, the streets of Manhattan have become nearly deserted. When the sniper begins escalating the profile of his targets, higher level government agencies are pulled in. A tense, dangerous thriller of CIA operations in Latin America, guerrilla wars, drug flights, environmental catastrophes and genocides. 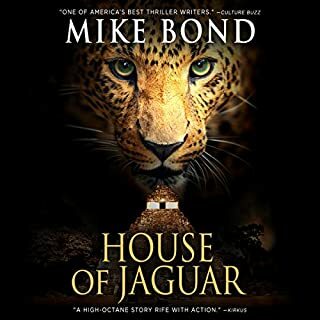 Shot down over the Guatemalan jungle with a planeload of marijuana, Vietnam veteran Joe Murphy gets caught up in the country's brutal Civil War, and in an attack on a Mayan village by the Guatemalan Army and its CIA "advisors". Badly injured, he escapes on a nightmare trek through the jungle, hunted by the Army, the CIA, and death squads. Worst book. Would return if I could. With Africa's last elephants dying under the poachers' guns, Kenya rancher and former SAS officer Ian MacAdam leads a commando squad against them. 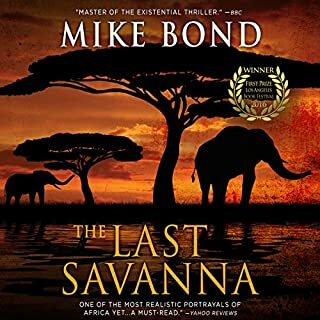 Pursuing the poachers through jungled mountains and searing deserts he battles thirst, solitude, terror and lethal animals, only to find that the poachers have kidnapped a young archaeologist, Rebecca Hecht, whom he once loved and bitterly lost. An American climber in the Himalayas stumbles on a shipment of backpack nuclear weapons headed into Tibet for use against China. Pursued by spy agencies and other killers across Asia, North Africa, Europe and the United States, he is captured then rescued by a beautiful young woman with whom he forms a deadly liaison. They escape, are captured and escape again, death always at their heels. 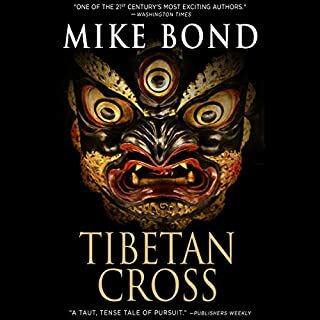 A terrifying international manhunt and stunning love story, Tibetan Cross is a European best seller. When a beautiful journalist drowns mysteriously off Waikiki, former Special Forces veteran Pono Hawkins, now a well-known surfer and international surfing correspondent, quickly gets caught up in trying to solve her death. What he learns soon targets him for murder or life in prison as a cabal of powerful energy corporations, foreign killers and crooked politicians focuses the blame on him. The ancient city burns and a thief named Omari leads the survivors into uncharted desert to a legendary place he doesn't believe exists. As the caravan struggles with nature and treachery, Omari must decide between love and the people's survival in this romantic tale of adventure, destiny and desert magic. Omari is a talented thief, but he’s not so smart when it comes to women. He has riches, a beautiful wife, and a big house. Yet his wife becomes angry with him and heads off to the city guard to tell of his many crimes. In an attempt to erase evidence of his wrongdoings, he sets fire to his house. Unfortunately, the flames don’t stop there and the entire city is lost. Now Omari, feeling quite bad about this, tells the people a lie about a wonderful land beyond the desert sands. There the adventure begins as a discordant group of people must either come together to succeed or will fall apart under the numerous assaults they suffer. This is a beautiful, captivating story. In very little time, I was caught up in the tale. Omari is a flawed young man with a good heart. He grew up thieving, having no one to take care of him. Yet, he also goes out of his way to see that the homeless old woman, Umal, has regular food and wine. Once he accidentally burns the city down, he knows he can’t stay with Sumosi’s group of people, for Sumosi and many of his guards would love to beat Omari to death. Yet he can’t survive in the desert on his own. Partly out of hope, partly out of desperation, he concocts a story about a far off land, rich in food and water. Others wish to leave and so they band together behind Omari. One of my favorite things about this story is that the women were just as varied, useful, and flawed as the men. Saba is great with a bow. Jasmina was the best dance instructor in the city before it burned. Umal is a unique character who perhaps has special powers, or perhaps is just very good at reading people and lucky in circumstance. Sofia, mother of two young sons (Haroun and Zolani), teaches this newly formed caravan how to make flatbread. The men are just as interesting. Bin Aswad, a cloth merchant with two daughters, has his pride and when his pride is injured, he can’t let it go. Umbaric used to be the captain of the guards. As such, he knows about Omari’s previous life. It was great to see how Omari eventually won Umbaric over. There’s plenty more characters, and each one brings some facet to this caravan story. As Omari’s caravan searches for this fabled land, they have to endure much. The first difficulty is in procuring camels, then in learning how to load, ride, and care for the camels. Desert storms, swarms of flies, pestilence, severe dehydration, and raiders are all things the caravan will have to learn to deal with. I appreciate that the author didn’t keep everything all roses; he threw in some thorns and not every character comes out of this story intact. As a side note, there were oryx, which I have a fondness for. It was great to read about the first oryx hunt by these once-city dwellers. It reminded me of my first time seeing oryx in the New Mexico desert, chasing them in a Jeep. I, like some of those hunters, was not too smart in that moment. The ending was very satisfying. Omari has changed little by little throughout the story. Other characters have also grown through their experiences. Umal eventually reveals a little more about her nature, though much is left to the reader to guess. I recommend this excellent story be paired with a strong mint tea. 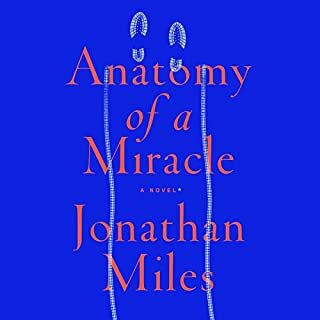 I received this audiobook at no cost from the author (via The Audio Book Worm) in exchange for an honest review. The Narration: Curt Simmons does an excellent job with this story. He had a light Arabic accent, perhaps Egyptian, for the entire book. I love it when narrators go out of their way to do this as it makes such a difference in how much I become submerged in the story. He had a great young man’s voice for Omari. He also did a great job with the female voices. Umal sounds like an old woman, Sofia sounds like a worried mother, Saba sounds like a determined young lady. I especially liked his half-joking, sometimes sly voice for Umbaric. I enjoyed the way the narrator took me on this journey with Omari. They accented vocals made me feel transported to a world far from my own. It helped immerse one into Omari's world and made it feel more authentic. Like I was sitting in a small room with a native talking a story about his life and history. Looking forward to more from Curt Simmons! What did you love best about Omari and the People? Its a great adventure that does not follow the trite models of other stories. Omari. Its great to see him go from thief to leader. This review is all about Curt Simmons. You can see a review of the book itself on Amazon. He is one of the best narrators I have heard and he makes the book a joy to listen to. He uses a good deal of differentiation in voice to represent different characters and keeps a great accent throughout the whole book that keeps you immersed. Looking forward to more of his work! Great Job! This is a heart-warming tale of a man who gets caught up in events surrounding him. He ends up realizing his full potential as a leader and a courageous man of passion. 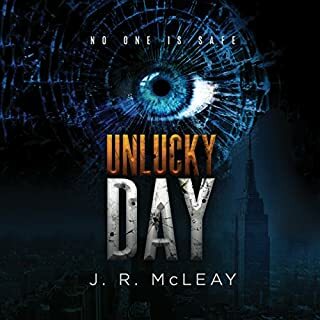 This story is full of surprises and was enjoyable, though I struggled at some points as the story was bogged down in politics or the drudgery of walking through a desert. The narration was excellent and I will definitely pick up anything else narrated by Mr. Curt Simmons. If you enjoy stories of brave peoples doing the impossible, this is probably the story for you. What made the experience of listening to Omari and the People the most enjoyable? This book moves along rapidly, interspersing natural and man made disasters, with quiet magic appearing at crucial times. But most interesting is watching Omari navigate the various physical and social situations and steadily grow into his destiny. In particular, it's fun to watch Omari deal in one way or another with a range of problems presented by a large group of Arabian Nights-type people suddenly stranded in a desert. What about Curt Simmons’s performance did you like? The narrator is really involved with the story and makes you share the urgency of the situation(s). His accents and voicing of the various characters is spot on and really makes listening enjoyable. I really enjoyed this book. It takes place in a mysterious, ancient land and has amazing and mysterious characters. I always found myself wanting to know more and came to care about them. There are lots of strong females, and the hero, Omari, is very realistic. I would probably consider this an adventure novel as it is exciting and we see the characters travelling across the land in search of a better place and fighting bandits, but there are also elements of fantasy and romance. I think this book has a bit of everything which makes it well-rounded and will appeal to readers of many genres. 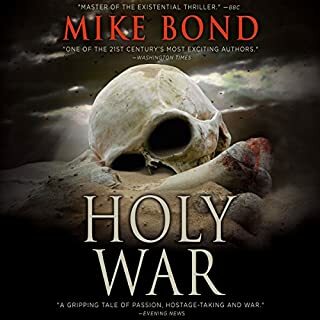 I listened to the Audible audio version of this book narrated by Curt Simmons. I really enjoyed his narration. He did an excellent job with pacing, accents, and character differentiation. When I first started listening, I realized right away that I want to listen to more books he has narrated. Overall, this is a really exciting book that really takes you away and puts you in the middle of the story. I highly recommend it. 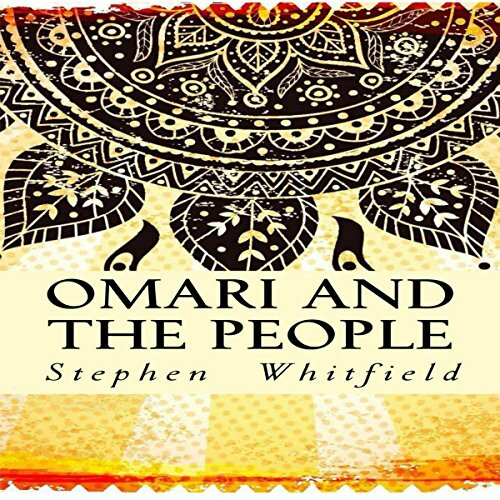 4.75★ Audiobook⎮ After finishing Omari and the People, I’m left with both a feeling of wonderment and confusion. Sort of like what I experience at magic shows. On the one hand, I’m in awe. On the other, I’m left a little baffled, but not in an unpleasant way. If you understand how the magician performs the trick, it’s not quite as magical. Every single second of this audiobook captivated me. I was initially a bit intimidated by the 11-hour runtime. Long audiobooks are always a gamble. If you happen to dislike it, listening becomes a chore. But Steven Whitfield had me in the palm of his hand throughout the entire time. This was one of the most well-paced audiobooks I’ve ever heard. There were no highs and lows. I don’t remember ever experiencing a dip or lull in the story. It wasn’t what I would call fast-paced or action-packed, but steady and constant. The characters were the backbone of this story. There was definitely a plot, but it developed through the characters instead of the other way around. This was storytelling at its best. Imagine a child sitting at an elder’s knee, listening to stories of old and hanging on every word. Now imagine that the child is you and the elder is this audiobook. That was my experience in a nutshell. It wasn’t so much the story itself, but more the way it was told. Whitfield’s writing was entrancing. The escapist quality that so many people search for in a good story is fully present in Omari and the People. It whisked me away to wherever this story is set for several hours a day. I got to the point where I was wanting to turn in early at night just so I could have an extra hour to listen. Mysticism only played in a small part in this story, but the overall effect of the storytelling was absolutely magical. The mystery of not knowing where or when the story took place merely added to that effect. Unlike some other reviewers, I preferred thinking of this story as existing outside of our reality. It held many similarities to Biblical lore, without being too identifiable with any one particular legend. Certain elements of the story reminded me of Rae Carson’s Fire and Thorns series. Omari and the People featured very strong female characters and had a rich, but identifiable cultural backdrop. It really left a lot to the listener’s imagination, including the solution of a few key plot points. This could annoy some, but I decided to view it like abstract art. Omari and the People is painted with broad strokes and it is up to the listener to to decide how to fill in the details and how to interpret the finished product. After all, a magician never reveals their secrets. Narration review: I actually wanted to start this review by talking about the narration because it captivated me as much as the storytelling. Someone give Curt Simmons an Audie Award because he held a thick and distinct accent for the entire 11 hours and 17 minutes of this audiobook. It did not slip once. The accent was not particularly distinguishable as belonging to one group or another, which tremendously enhanced the story’s mysteriousness and aided my suspension of disbelief. It was thick enough to be remarkable, but not so thick as to hinder my understanding. I’m very curious to know how exactly Mr. Simmons came to choose this particular accent for the performance (and also how he held it for so long!). ➜ This audiobook was graciously gifted to me by its narrator, Curt Simmons, in exchange for a review containing my honest thoughts and opinions. Thanks, Curt! I particularly appreciated the book being read by Curt Simmons. Amazingly, every character had a different voice and personality - even the feminine voices, so that it was easy to keep track of just who was speaking. Through his reading, I found it was much more like seeing a movie than having a book read to me - even though all the visual action was actually taking place in my own imagination. I think Mr. Simmons is a wonderful storyteller and because of that, I was totally caught up in the story. What other book might you compare Omari and the People to and why? Amazingly, the first book that comes to mind is "Gone With the Wind" because it, too, was a vast story told through the lives of the characters whom we came to know intimately as they made their way through the life-changing crisis of the Civil War. Likewise, in "Omari and the People," we also come to personally know the characters, many intimately, and their struggles through their own crisis to find their promised land. What does Curt Simmons bring to the story that you wouldn’t experience if you just read the book? Please see above. Again, Mr. Simmons gave all the characters their own voice and personality, including the voice of the narrator. I don't know how Mr. Simmons does it but I thought all the voices were unique and appropriate. Listening to him made it seem more like a movie than a book. Again, I believe Mr. Simmons is a masterful storyteller in bringing a story to vivid life. If you could take any character from Omari and the People out to dinner, who would it be and why? It would be the woman who was the head scout. Finally a woman appreciated for who she is and allowed to use her gifts! I wish there was a sequel more about her. Although this book it is not a book I would typically choose, I was very interested in listening to it because it was performed by Mr. Simmons. I have listened to another book he narrated and found his reading really brought the story alive. I was interested in experiencing that again and he did not disappoint. I thought this was a wonderful story. Omari and the People, brilliantly voiced by Curt Simmons, is a memorable story of love, friendship, community, and forgiveness wrapped in a colorful adventure. It's about a people in crisis, led by vivid, fascinating characters who develop as the trek becomes an ordeal. What moved me along in the story were the natural dialogue, the extraordinary turns of events, the well-defined desert setting and a sense that the people's experience is relevant to me and folks around me these days. It's an enjoyable read on many levels.